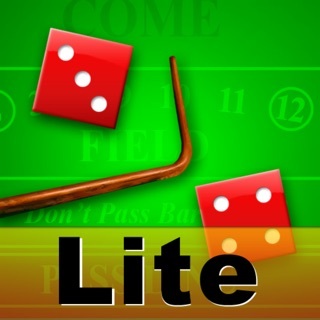 • Rated 4.5 Stars - HIGHLY RECOMMENDED by 148Apps (full review at www.148apps.com/reviews/aw-craps). Experience the thrill and excitement of casino craps with Aw Craps! 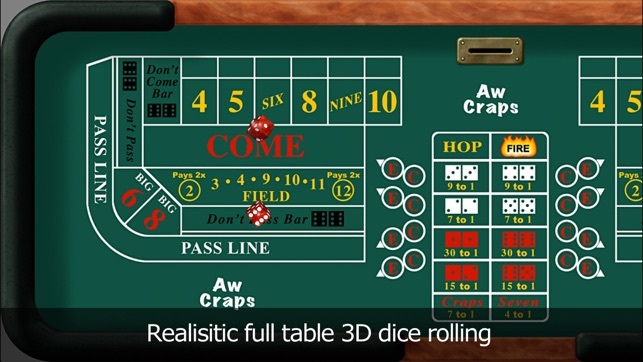 • The table layout is designed to simulate a real casino craps table. 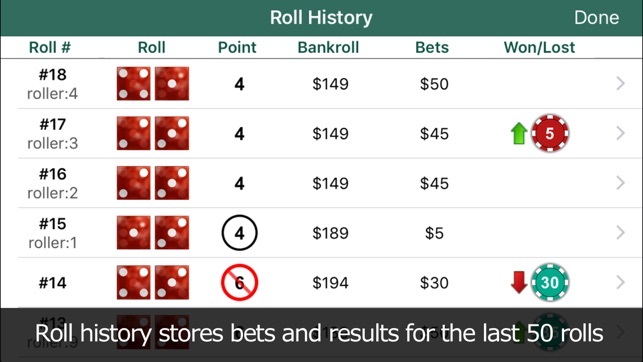 • Hear actual "Stick Calls" after each roll. 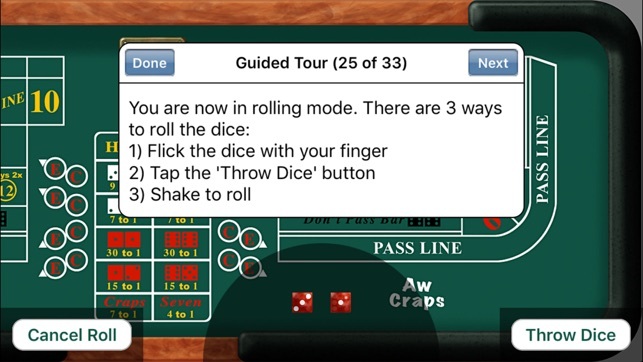 • Realistic 3D animated full table dice rolling where you control the strength and direction of the dice rolls, including 'short rolls', off the table rolls, and dealer warnings to hit the back wall. 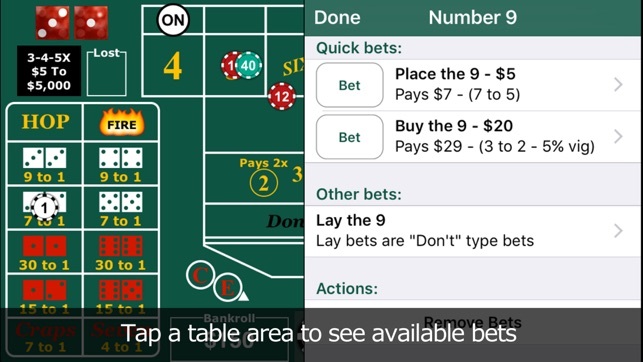 • Bets are made just like in the casino: place your chips on the table, and the Aw Craps! dealer will place your chips in the correct position on the table. • Collect your winning bets just like in the casino. The dealer will place your winnings on the table and it is up to you to pick them up. • Make common multiple-bets (inside, outside, across, c&e, 3-way craps, horn bet, hi-lo and whirl). • Quickly re-bet your winnings (press, parlay, down with odds, off and on, take it down, and same bet). • Choose from five different dice to simulate shooters that are hot, warm, standard, cool or cold. 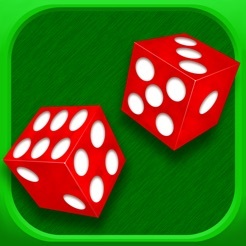 Choose from five different colored dice, each with specialized probabilities. The different dice allow you to test your betting strategies against different types of shooters (hot, warm, standard, cool and cold). • Over 50 audible "Stick Calls"
Supported bets: pass line, pass line odds, don't pass, don't pass odds, come, come odds, don't come, don't come odds, place, buy, lay, field, big 6, big 8, any seven, any craps, the hardways, one time 2, 3, 11 (yo), 12, C+E, 3-way craps, horn, hi-lo, whirl, hop, fire and inside/outside/across place bets. Supported table odds: 1X, 2X, 3X, 3-4-5X, 5X, 10X, 20X, 100X. 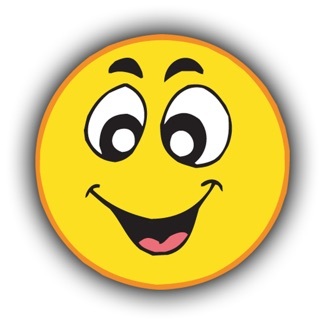 CONTACT US: Please contact us with ALL feedback at support@24x7digital.com. 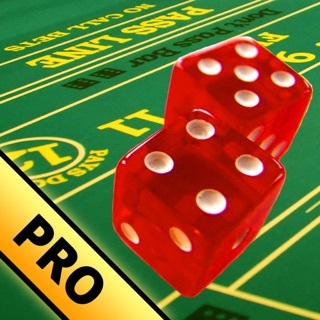 This is by far the best craps game I have played on any platform. There is a problem with the dice, I set a point then 7 out this is a constant issue. The randomness of the dice are not very random at all. This game will show you how to play but it won't allow you to practice real strategies . Sadly this game has gone downhill. With the newest update the dice rolling is no fun and throwing the dice becomes a challenge. I'm not looking for a video game to try and keep the dice on the table. I just want to throw the dice and play my betting strategies. YES!! 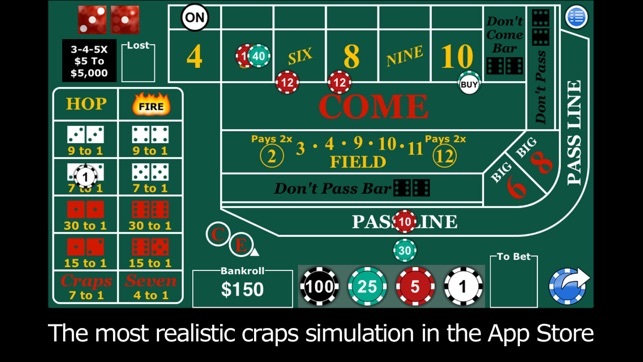 Finally a great Craps game. 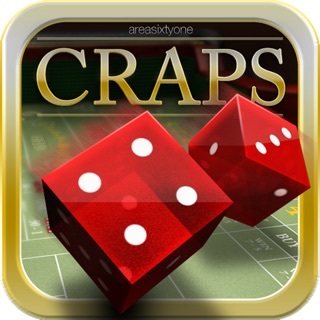 I've tried other Craps apps that have only disappointed. 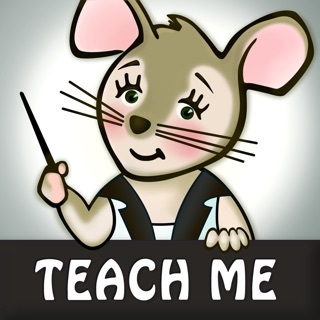 This one has the polish that I would expect from an app being sold for money on iTunes. No complaints so far with the user interface in this one. Good work! !